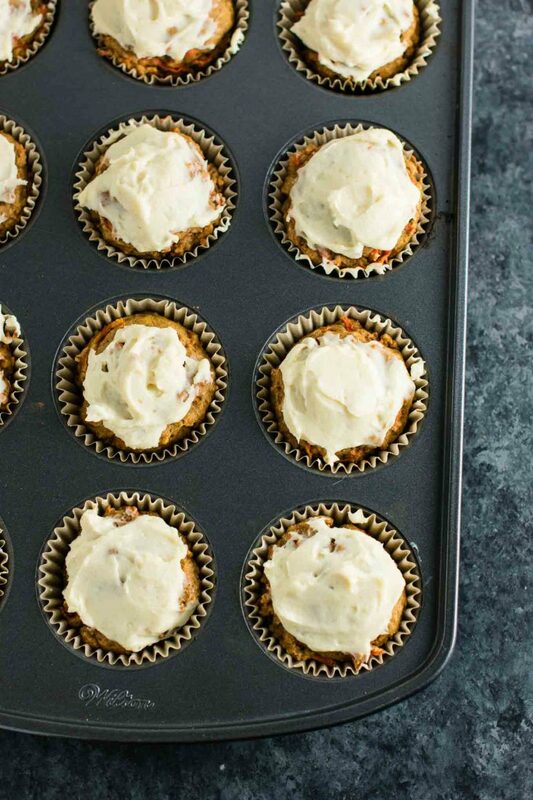 Thursdays are for eating copious amounts of carrot cake muffins…at least that’s my new motto today! 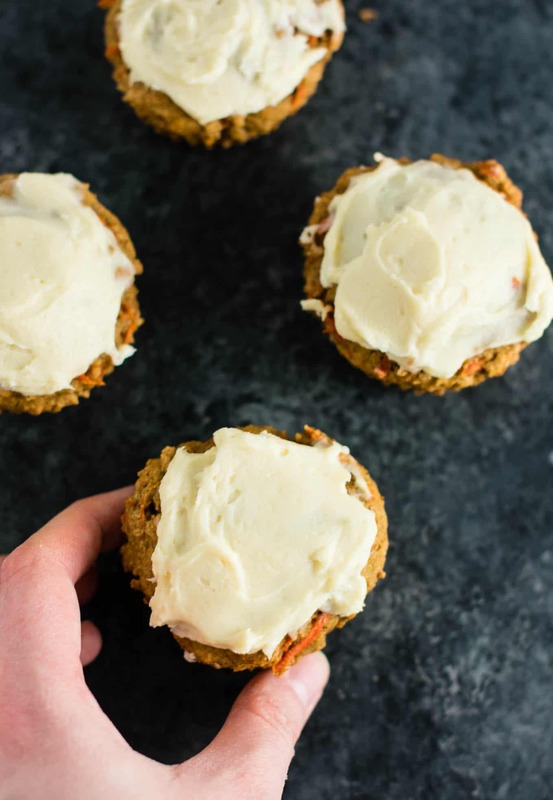 One of my favorite cakes has always been carrot cake. 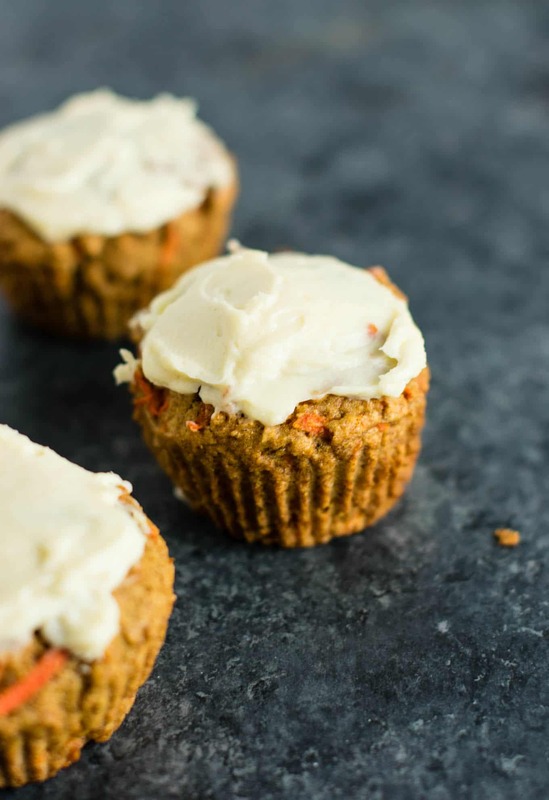 I love the rich contrast of flavor when paired with a creamy homemade cream cheese frosting! 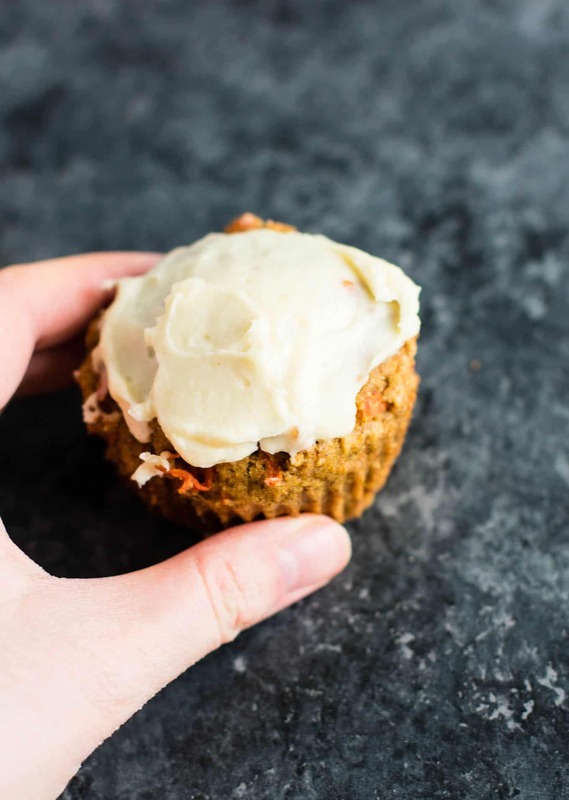 One thing that I cannot stand, however, is an overly sweet carrot cake. 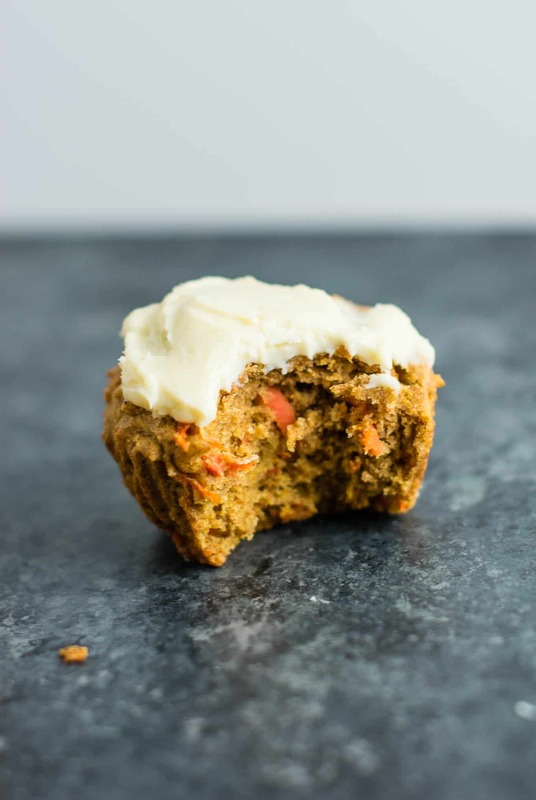 Carrots themselves are sweet, and when you pair a sweet cake with a sickeningly sweet frosting, well it’s just too much sugar. 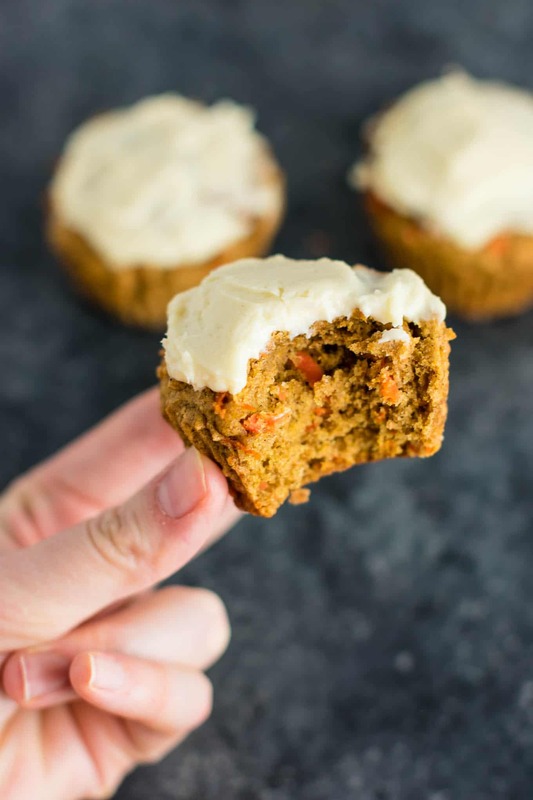 I end up feeling tired and draggy, not to mention that I physically can’t bring myself to eat mega sweet desserts…they just aren’t my cup of tea. Gross. 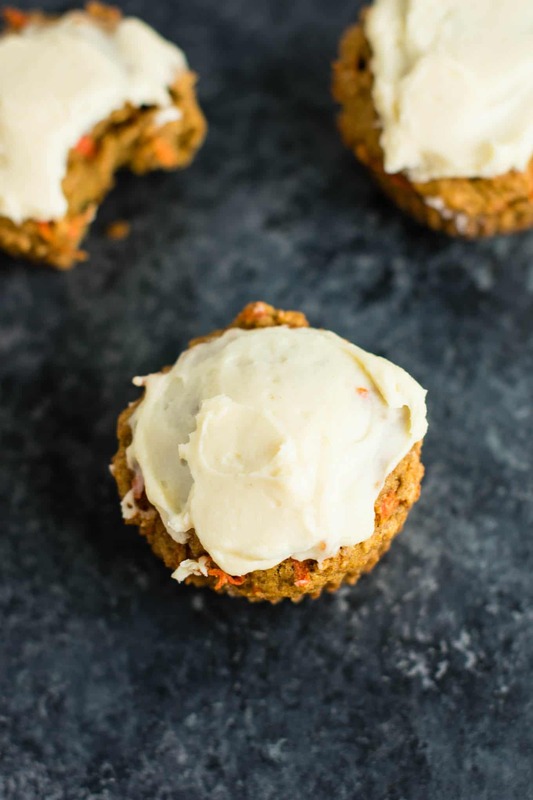 I created these healthy whole wheat carrot cake muffins that are the perfect amount of sweet without being overpowering. 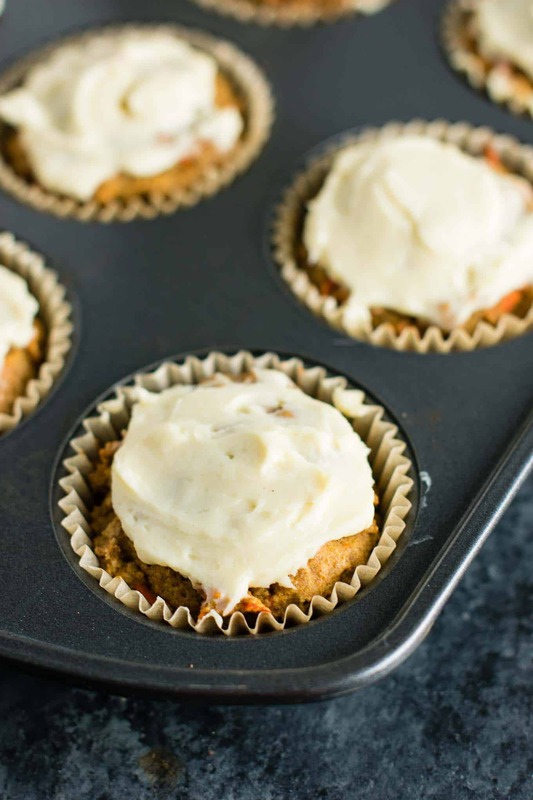 They are full of healthy whole wheat flour, olive oil, applesauce, freshly grated carrots, and warming spices. 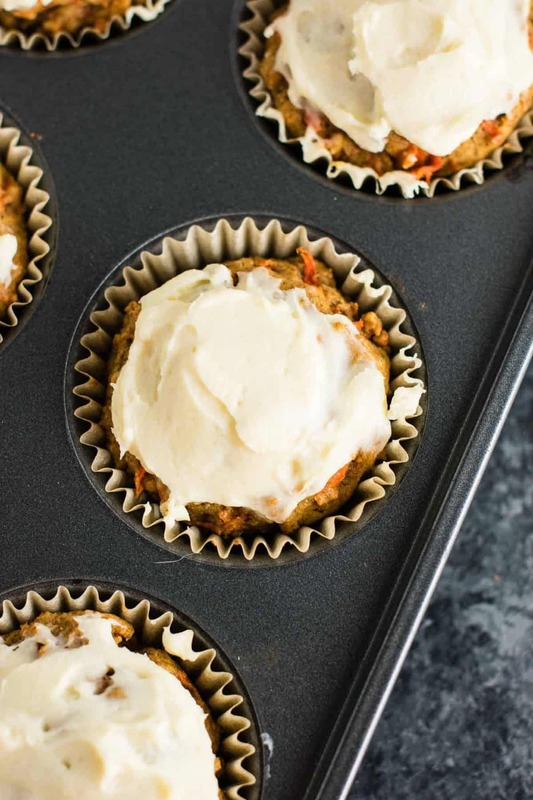 I loved how these turned out! 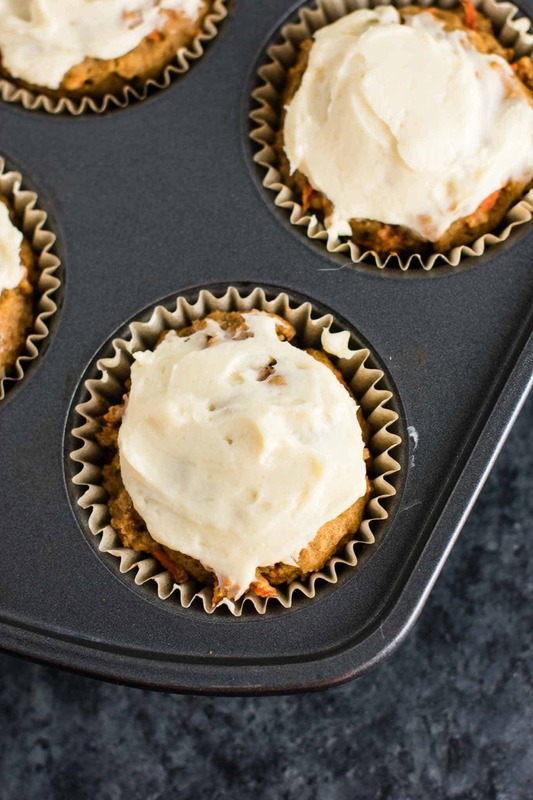 They are soft and moist and just the right amount of sweet. 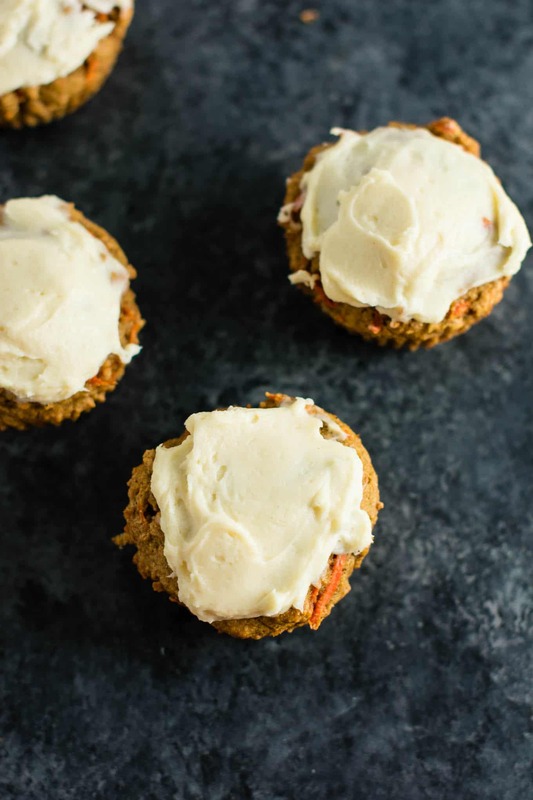 The homemade cream cheese frosting provides a creamy sweet contrast to the muffins without being full of too much sugar. 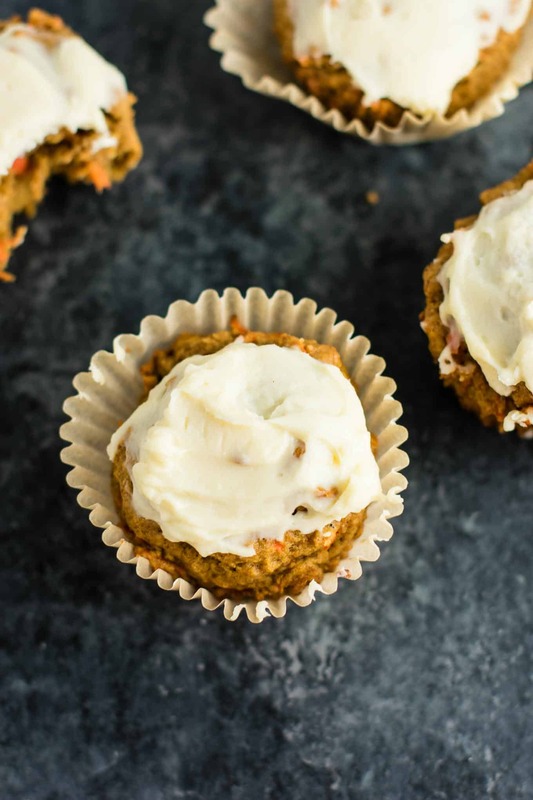 I may or may not have eaten quite a few of these today! I can’t get over how light yet filling these are. I basically feel like I’m eating dessert for breakfast. 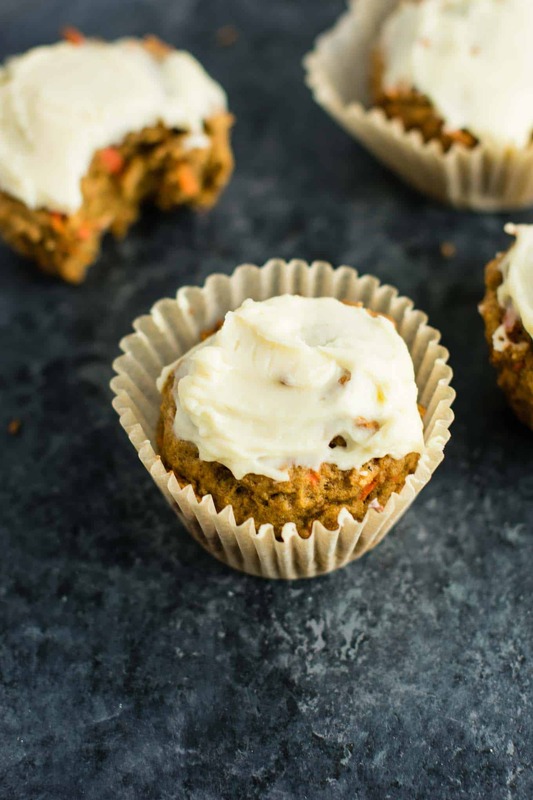 These whole wheat carrot cake muffins are perfect for a healthy breakfast or snack!